It is a circle/oblong shape vegetable about 12 inches, native to the North and Central American. Also called vegetable spaghetti because the flesh of the plant is string-like, thin and long mimicking the spaghetti when cooked. 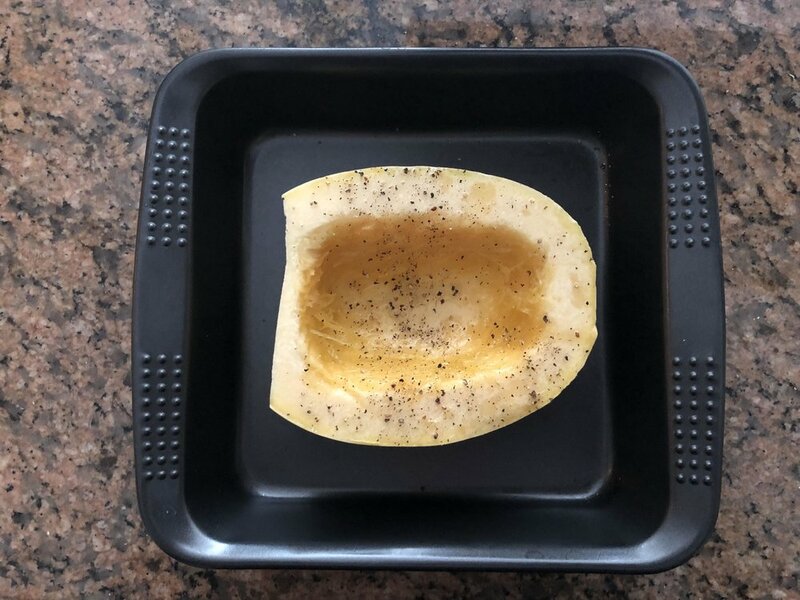 Although now accepted in the western world and among healthy freaks as a better alternative for processed and high carb foods, the spaghetti squash is the first choice for healthy people. For spaghetti lovers who want to stay healthy, squash is the best option that fits into the spaghetti role, but with lower calories and more benefit, flavor and versatility just as spaghetti. Its peak season is between October and March, but the squash is available throughout the year. An excellent source of minerals, vitamins, fatty acids and proteins, the spaghetti squash is more than expected. One cup of spaghetti squash contains only 42 calories as to 170 calories of regular spaghetti. This low-calorie content gives you a broad option of additives to increase flavor and taste. Unlike regular spaghetti, the spaghetti squash has a low glycemic index. It is slowly digested by the body with no effect on the blood sugar level, and excellent food for diabetic patients. The spaghetti squash also has Vitamins A, B1, B2, B3, B5, and B6. As a vegetable, it is loaded with Vitamin C and trace amounts of certain minerals like zinc, iron, magnesium, and fibers. 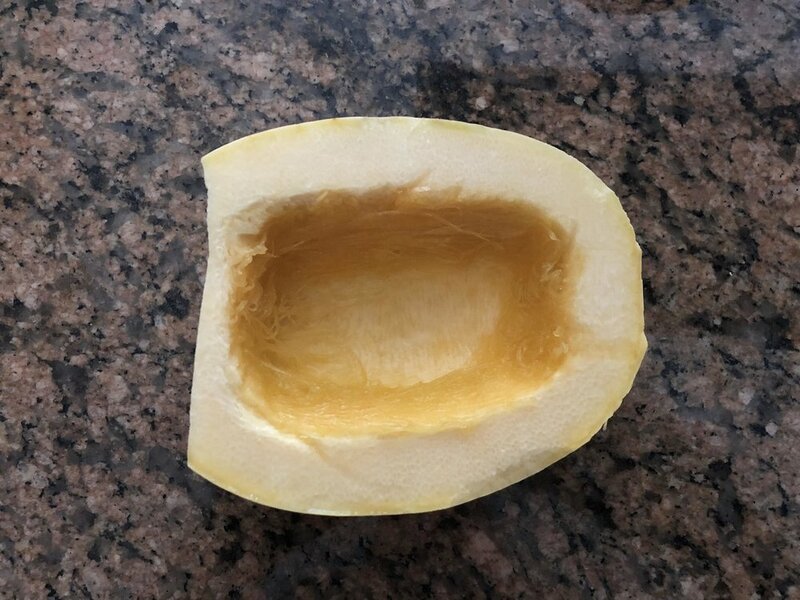 How to buy and prepare a spaghetti squash? The vegetable is available in store throughout the year but in buying one, carefully feel around the squash and ensure that it does contain any soft spot. It should have an even coloration around the vegetable. Avoid vegetables with green patches; it means it’s not ripe yet. How to clean a squash? Use your hands or a fork to scoop out the web of seeds – don’t throw the seeds away. You can roast the seeds after cleaning them away from the flesh. They are a healthy snack and contain an ample amount of magnesium for bone formation and calcium absorption in the body. To make the spaghetti, use a fork and gently run it across the flesh and watch the strands form, scoop them on to a plate and continue until all the flesh is used up. How to cook a spaghetti squash? It can be boiled, roasted, and baked. The squash is cooked whole until soft, or the strings cooked in boiling water and strained. It can be served with the traditional spaghetti sauces or enjoyed as a salad. It can also be baked in the oven; divide the spaghetti squash, and clean the seeds out. Allow the vegetable to cook for about 35 to 40 minutes until soft. To eat, add a dash of salt, black pepper, herbs, butter, and scoop into your mouth. How to store spaghetti squash? The whole vegetable is stored in a cool, dry place; while the boiled version can be stored in an airtight container in the fridge for a couple of days. Benefits of eating spaghetti squash? The vitamin A is great for eyes by protecting it from cellular degradation and for supple skin. The vitamin B complex group found in squash is great for pregnant women as the body absorbs the foliate that helps in cell formation in new fetuses. It contains a high level of fibers that keep you full for long and acts as roughage that cleans the intestinal lining, soften the bowel and makes passing waste less stressful. It contains minerals that help reduce fat absorption in the body thereby maintaining a healthy weight and good cholesterol level. Spaghetti squash also contains potassium that help lowers blood pressure and strengths the heart too. If you have never tried spaghetti squash, then this is your opportunity to give it a go and enjoy all the benefits that the vegetable has to offer. Besides, it is easy to cook, and keeps you full for longer. For spaghetti squash recipes, check online. Food has gone beyond what you want, to how healthy you want it and the list is endless of the number of transformations and replacement in the food world that is capable of replacing your regular food choice, but offer more nutrients, minerals, and taste even better and improves your overall well-being. This recipe is pretty lean. If you think about spicing things up, here are a plenty of more spaghetti squash recipes. Personally, I have tried three recipe’ from the food network myself.